Digital paintings by Cliff Connell are like technological expressions of the painted canvas, using color and form to produce beautiful abstractions that both please the eye and the mind. After 20+ years working in the corporate world, Connell took the leap into the role of an abstract artist. He has been painting and tinkering with graphic software since the mid 2000’s. 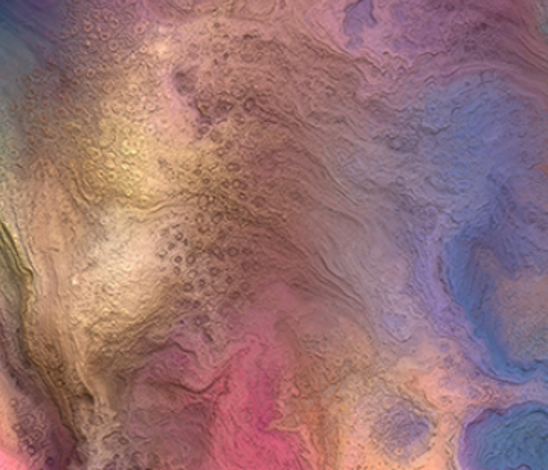 The style that Connell employs can best be described as a “digitally manipulated abstract painting” technique. This technique utilizes graphic applications alongside digital tablets which together mimic the effects of traditional painting medium by manipulating the pixels using image filters such as contrast, brightness, saturation, and hues to create a new composition. His process usually begins by taking images with interesting color combinations and/or shapes and adjusting their transparency then layering the images forming a new composition.